Elegant Drapery is a full-service drapery workroom located in Toronto, Ontario. Since 2005 we’ve been designing and fabricating highest quality window furnishings and beddings for residential and hospitality spaces. Our hand-crafted draperies, shades, valances, curtains and other fabric decoration products have brought a touch of warmth and style to thousands of interiors in GTA, York, Peel and Durham regions. Our mission is to inspire and help people to transform their spaces into warm and inviting interiors. Our primary focus is developing long-term relationships with clients offering solutions based on client’s taste, budget, and goals for the space. It starts with listening to client’s needs and ideas, empowering them with our knowledge and expertise. We work closely with our clients along the way, guiding through overwhelming selections of trends, styles, colours, and accessories. We are committed to excellent service and full customer satisfaction, in fact we are not happy unless you are delighted with your purchase and your experience. 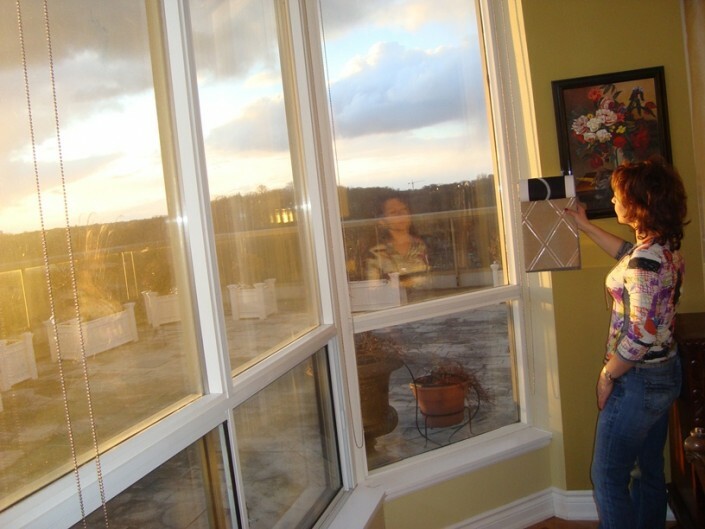 Design is our inspiration and key competence in the world of fabric decoration and window fashions. We realize that fabric is inseparable part of any decoration scheme, contributing enormously into the look and mood of your environment. We carefully study your space composition – lighting, colours, and other décor elements to ensure that when our product is introduced to a room, it brings softness, character, creates that satisfying “finished” feel. And, of course, you can’t create a harmony and balance in a space without considering clients’ personality, product’s functionality and practicality for the entire family. Quality is essential to our success. We search around the globe, attend trade shows, and follow industry trends to ensure that our clients have access to the best quality and latest styles of fabrics, hardware and accessories. 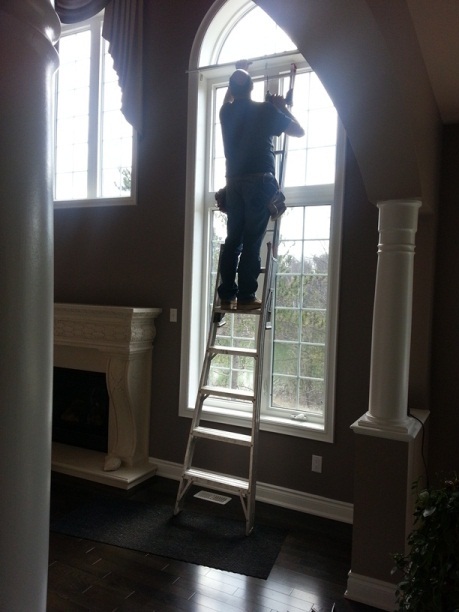 Our experienced team is committed to providing highest quality workmanship and professional installation. Elegant Drapery founder and head designer Diana Vaizberg offers decades of both Canadian and European experience in working with fabrics. Since the early age she was passionate about fabric and the role it plays in bringing pleasure to people. For over 20 years she has had a successful career in the fashion industry working in pattern-making, dress-making, and design. Diana is a designer whose inspiration comes from the clients she serves. She can truly say she knows the process where no detail is too small. Diana’s expertise combined with efforts of her team of qualified professionals is a perfect recipe for delivering product and service beyond clients’ expectations.